Easy to set up, disassemble, and store. Indoor use only. 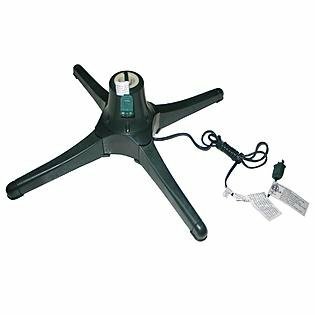 Revolving Tree Stand Suitable for 7.5' ft Artificial Tree and 90 lbs. Fits only 1.25" inch Diameter. Trunk with tapered end. Each of the 2 power sockets accepts up to 400W of lights. If you have any questions about this product by PolyGroup, contact us by completing and submitting the form below. If you are looking for a specif part number, please include it with your message.